Pede Marshall of the 1970's R&B group The Choice Four has passed away. There are no firm details on the date or cause of death. The Choice Four was formed in Washington, DC by Bobby Hamilton, Ted Maduro, Charles Blagmon and Marshall and recorded three albums for RCA under the direction of Van McCoy. While they only had one record that made the lower depths of the Hot 100, they did have six charting R&B hits including Come Down to Earth (1976 / #9) and When You're Young and in Love (1975 / #45 R&B / #91 Pop). They also charted twice on the Disco Singles with Hook It Up (1975 / #4) and Dome Down To Earth/Two Different Worlds (1977 / #26). 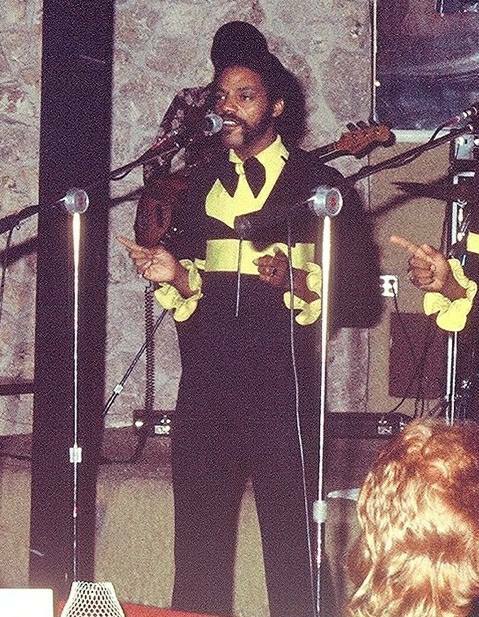 The Choice Four broke up before the end of the 70's but Marshall went on to record a number of solo singles along with joining Dennis Edwards' "Temptations Review". I want the world to know that I just lost my best friend, Mr. Pede Marshall of The Choice Four. I love you my brother, I love you. Rest in peace, rest in peace.